Installation ease with impeccable results makes our DMC 150SL roof system a standout choice. The 1-1/2" Snap Lock profile and DMC 150SL Clip create a continuous interlocking system that installs quickly, reducing labor costs. The concealed fastener and clip application also allow thermal expansion and contraction movement to help keep the beautiful finish straight and true..
*Drexel Metals design pressures, wind uplifts and test reports are for specific deck attachments, material gauges, clip spacing and panel widths. Can be installed over plywood decking and Drexel Metals MetShield underlayment. 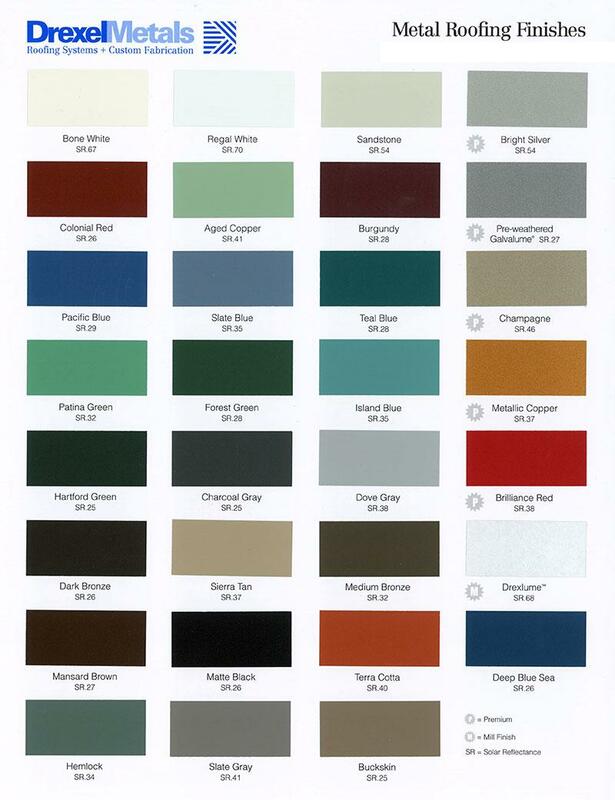 Available in a variety of coatings and colors by AkzoNobel. 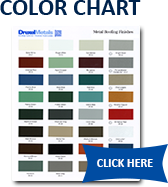 See the (This should link to the color chart) for standard colors and paint specifications. Mill finished Galvalume with a two-sided, clear acrylic finish.